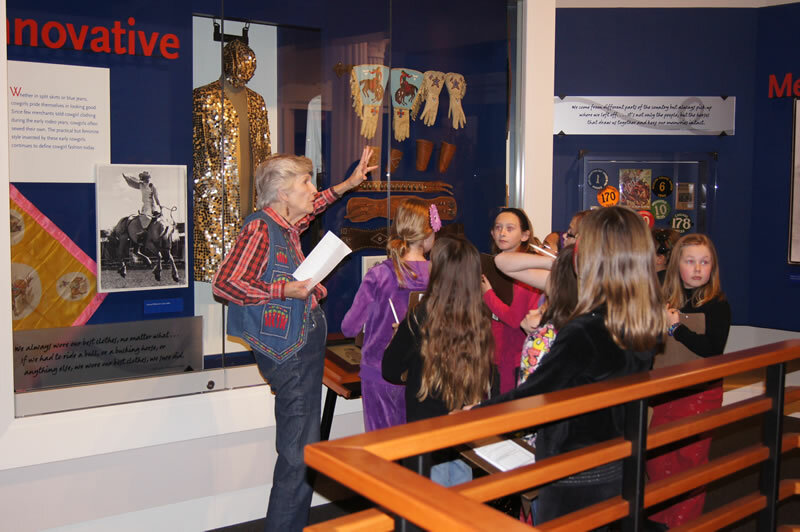 The National Cowgirl Museum and Hall of Fame welcomes volunteers in a number of different departments. We invite you to apply by calling 817-336-4475 and fill out this Volunteer Form. Volunteers will be trained on an individual basis depending on services provided, and may be asked to work a set schedule or on a project basis. Click an item below to learn more about that volunteer opportunity. The Museum needs volunteers to help keep operations running smoothly and efficiently. All responsibilities include a critical eye for detail and knowledge of basic office machines. Folding, stuffing and mailing flyers. Office assistant to help with printing, collating, and data entry. The Museum occasionally needs volunteers for children’s activities, our Induction Luncheon, Educator Evening, and other project-based special events. For some events, we need gallery attendants to simply watch over the exhibits and answer any questions the public may have. Do you have retail experience? Our popular The Shop at the Cowgirl is always looking for help with inventory, computer entry, ticket sales, and gift sales. Training is provided. The National Cowgirl Museum Library and Archives needs volunteers to help keep the archive and library running smoothly and efficiently. All responsibilities include a critical eye for detail and knowledge of basic office machines. Providing researchers with access to information and ensuring the most updated and fairest selection process. Sending nomination forms to those who request them; confirming receipts; filing and updating existing files; double-checking nomination facts; and database entry. Examining publications and articles to identify featured individuals (generally, our Inductees) and other subjects of interest. Labeling, filing, and copying articles as needed. 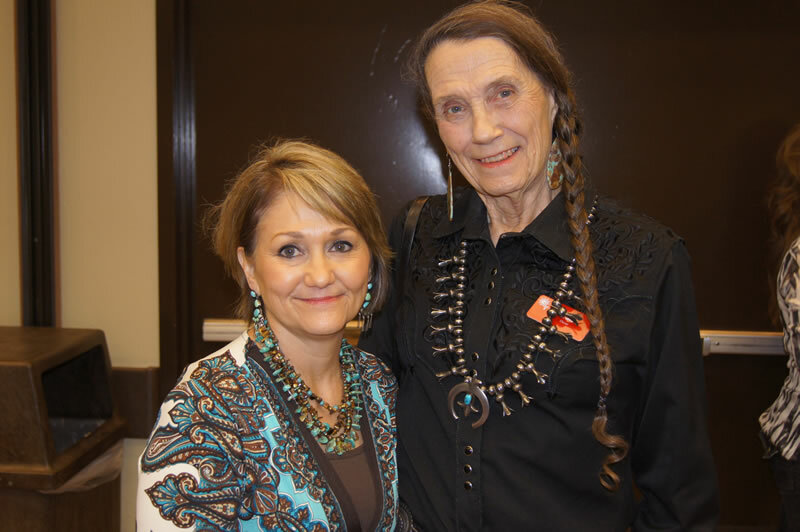 Bound together by their interest in American West and cowgirl history, our core group of docents educates visitors through a unique set of skills and backgrounds. 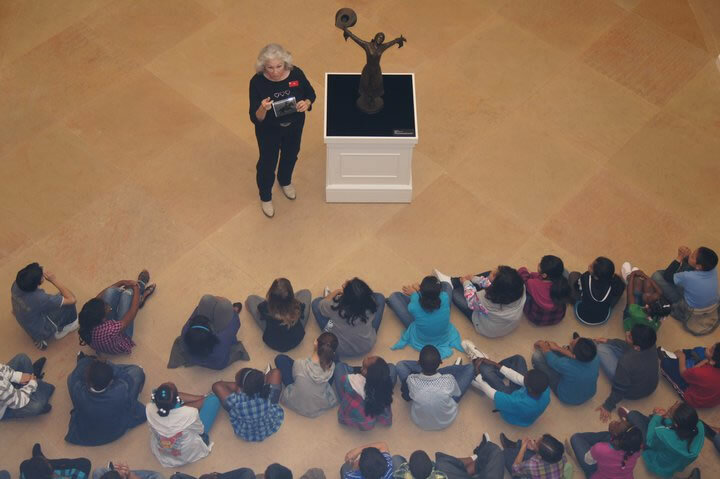 Flexibility in working with tour materials, other docents, staff, and Museum visitors. Sincerity and genuine interest in what you’re discussing in order to truly engage Museum visitors. Understanding of subject matter and continuous development of knowledge of the “Cowgirl” with a deep appreciation of the American West. Ability to speak in public while expressing ideas logically, audibly, and with enthusiasm. Leadership ability that establishes a common bond with your group at the beginning of each and every visit. Adaptability to different learning styles and abilities of both children and adults. Imagination and the ability to see the Museum exhibitions with fresh eyes every once in a while. A willingness to learn and show continual openness to new ideas and information. A welcoming attitude that inspires visitors to return. Call 817-336-4475 for more information.